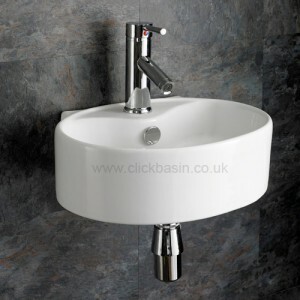 Cloakroom basins are an ideal solution to small space rooms. That under-stairs space may seem too small for a downstairs toilet, but with some neat planning, a small sink is the perfect compliment. En-Suites are another good location for a cloakroom basin. Wall, along with left and right corner installations, often provide a classy solution to a simple problem. 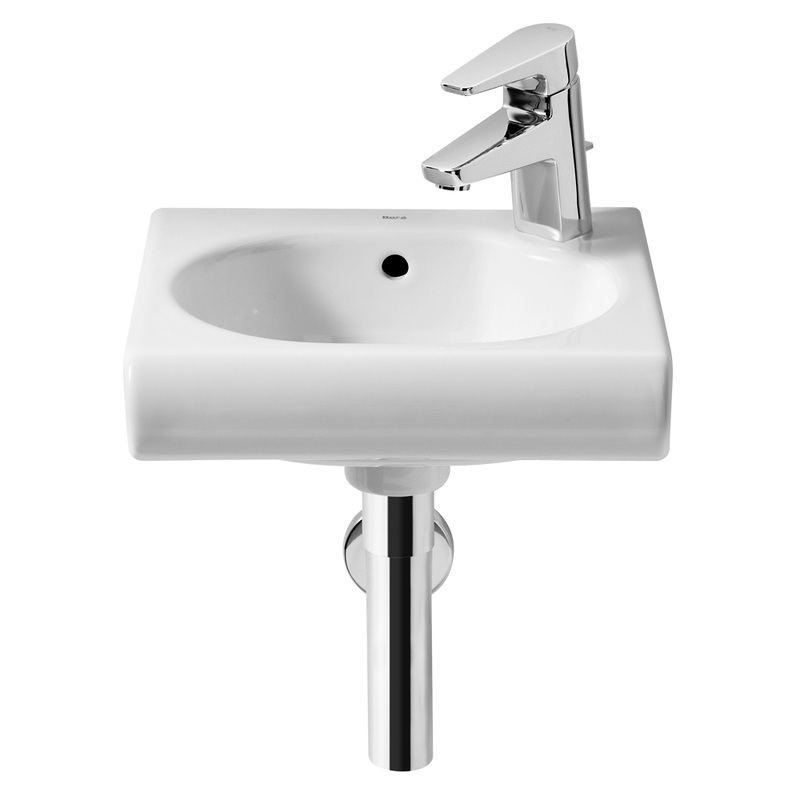 The Roca Meridian-N Compact Basin with Bottle Trap, is an example of the type of space saving basins that will allow the use of a broom cupboard for a toilet, with wash facilities. It is relatively tiny, but provides an essential service. At just £79, the Melodie Square Basin 45x32cm, is not quite as small as the Melodie, above, and the shallow bowl provides additional usage area. It feels much bigger than it actually is. Like the basin above, the Bitonto Small Ceramic Circular Wash Basin Sink provides a stylish solution to small space requirements. And this one is less than £60. 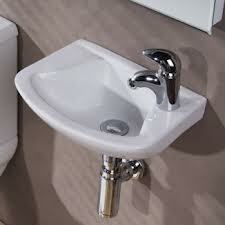 A familiar look and style to traditional basins, but in many respects a miniature version. 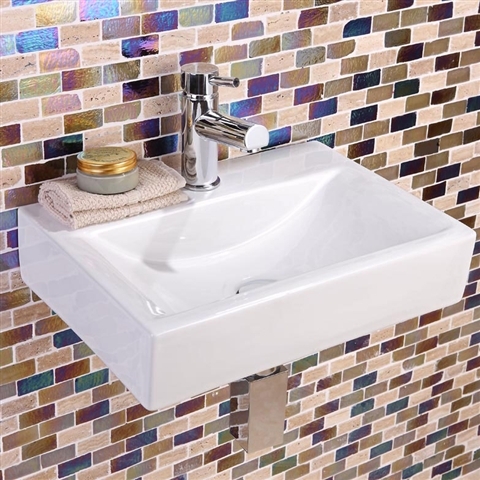 Similar designs are usually available in all bathroom stores, at very agreeable prices.